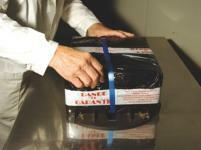 Feel free to contact us by mail : info@royalcaviar.com or by phone : +352 51 45 79. Minimum order excluding the transport is € 49 in total. Place your order on the site by choosing payment by PAYPAL or Payplug. On this platform you can pay your order by credit card, Visa or Mastercard, American Express, with our without Paypal account. In fact, it is possible to pay by credit card on Paypal without creating a Paypal account first. 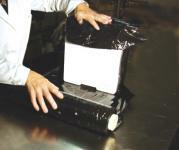 Your personal information is stored on Paypal servers and will be highly protected both physically and electronically. To help protect your credit card and bank account numbers, Paypal servers protected by firewalls, are not directly connected to the internet. A minimum of € 49 excluding transport is necessary to confirm your order. 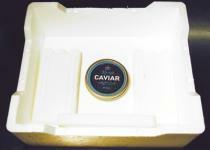 After receiving your order, our caviar tins can be stored for 12 weeks in refrigerator without being opened. Once opened, consume within 2 days. 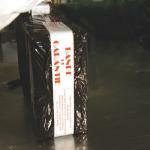 The fish eggs will keep 6 months in refrigerator before opening and are to be consumed within one week after opening. How to recognize a good caviar ? 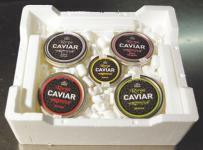 Please visit our recipes around caviar ! For more info, go to our tasting tips page. 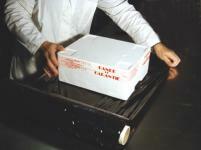 The package is ready to be lifted for delivery to you as soon as possible. The two major groups of sturgeon are Acipenser (Oscietre or Sevruga) and Huso (Beluga). They are predators. Sturgeon is one of the last representatives of teleost fish or full frame to remind us of the original form of the fishes having populated the seas with no fish bones. Sturgeon should be a model for modern fish types which give us so much trouble inside the plates. In total there are at least 20 different sturgeon varieties, 5 of them live in Caspian Sea out of which only 3 yield caviar. Victims of their fame they would have been disappeared without CITES protection since 1988. 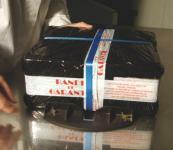 CITES regulates the export of Caviar. In 2008 less than 10 tons were exported from Iran, Kazakhstan and Azerbaijan in total, vs 350 tons in 1990.
vitamins and trace elements (3 %). The caviar proteins consist of arginis, histidine, isoleucine, lysine, and methionine. It’s lipids comprise 25 % of cholesterol against 75 % lecithin. It contains vitamins A, C, PP, B2, B4 and B12. Notwithstanding the follicular and pantothenic acid.